We all talk about how important our parents, kids, friends, and spouses are, but the relationship with a sister is often not brought up. Yet, unless they are completely off their rocker, they are there for us through childhood, in our awkward years, and well beyond. And we always have a place for them in our heart, even when we can’t stand them, don’t agree with them, and are busy with other people in our lives. 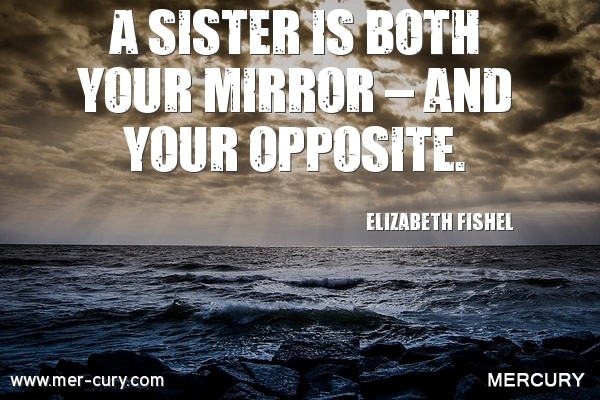 Following are some sister quotes that will remind you of why sister is so important! 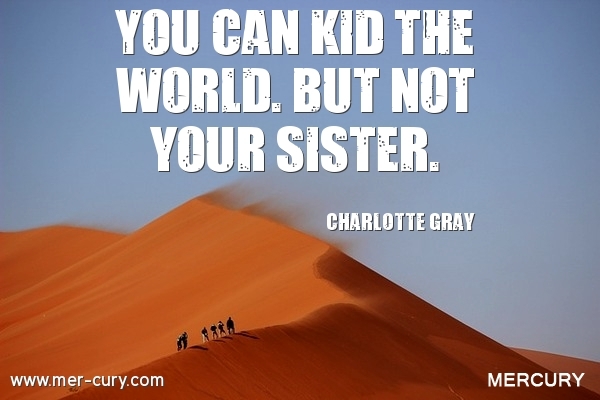 If you have a sister, then this is one of the sister quotes that will make you laugh and irritate you at the same time. We all know how true this is. Parents can be fooled quite easily. Friends can be fooled some of the time. Even your spouse can be fooled once in a while. 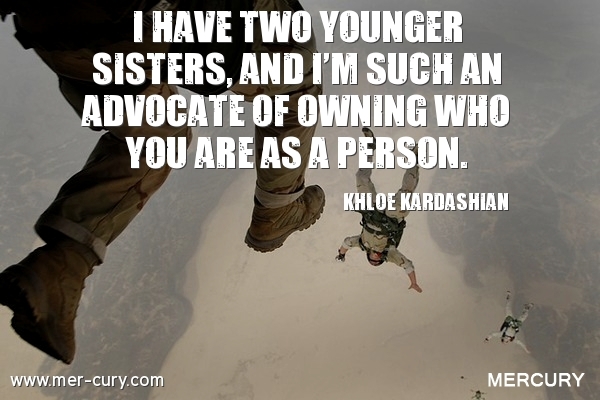 But sisters have a way of seeing through the lies and the games and calling you on them. They know when you are upset, and they know when you are happy, and they are not afraid to talk to you about any emotion they think you are going through, even if you don’t want to talk about it. The thing about sisters is that they are not trying to impress you, nor you them, so you don’t put on as good of a facade as you do with people you really want to fool. Moreover, we know that they are going to tell us what they think we need to hear when something in our life is going wrong, so I think when we know we are doing something wrong or unhealthy, we let our sister see it so that she can tell us to smarten up when we don’t have the strength to tell ourselves that. 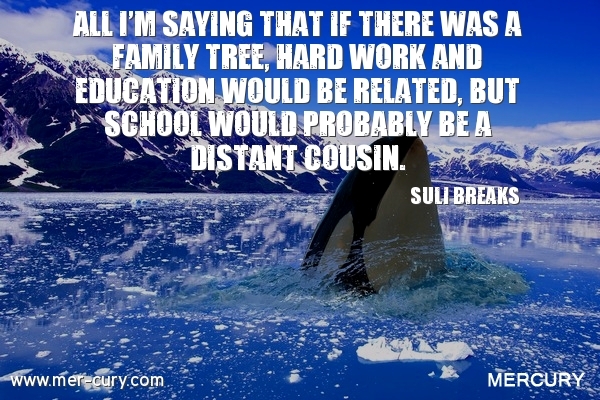 So the next time you get annoyed with your sister’s uncanny ability to read you like a book, this is one of the sister quotes you need to read. It’s impossible to kid your sister. And thank God that there is one person in your life that you can’t fool! I don’t know too many siblings who are exactly alike. In fact, most siblings I know are completely different. Obviously, brothers and sisters can be extremely different, but even sister and sister can look at each other and wonder how they become so different. One will be a rebel while the other is a perfect child. Or, one will be into dance music while the other will be into heavy metal. There always has to be some big differences, but there are also always some big commonalities. I think the differences we have are the universe’s way of teaching us patience and compassion. We have to put up with our sisters for a long time, so we learn to tolerate those differences because we literally have no other choice. And we are also treated to moments where we are on the same page and can understand exactly why we have the relationship that we do. I recently saw a cartoon that has two circles, one labeled ‘best friend’ and one labeled ‘enemy’, and ‘your sister’ is the tiny little overlap that those two circles make when they come together. When you look at it that way, there really is no one like your sister who can fit into both the enemy and best friend overlap so well! In short, sisters teach us how to accept them and others the way they are. They let us get our judgmental years out with them, and then teach us that even though other people are different, it doesn’t mean we can’t have a long-term relationship with them that is based on commonalities, fun, and shared memories. 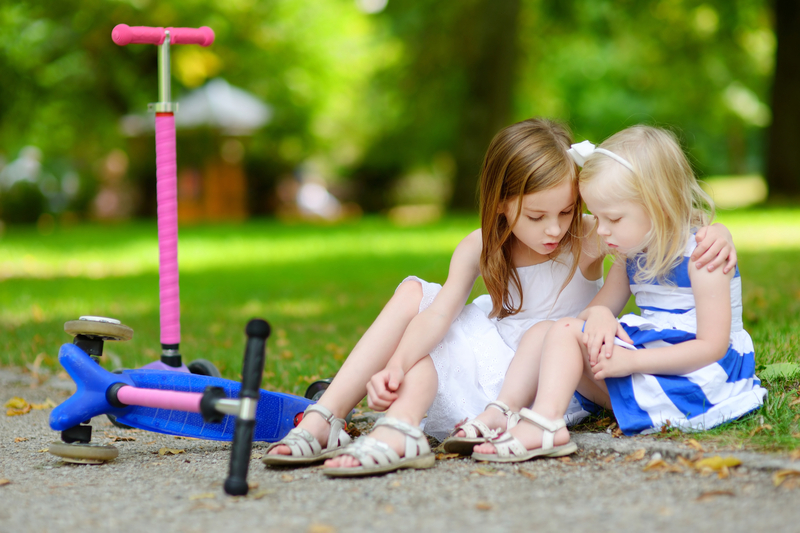 If you are a brother to a sister, then you know that she is willing to listen and give advice any time you need her to, and even when you don’t need her to. She will tell you exactly what ‘you need to know’ if you let her. Even if you tick her off and make her feel bad, she will still offer you the support you need. But, if you are a sister to your sister, then those talk sessions can turn into moments where you forget who brought up what and who came up the idea to do something first. It is like a flow of ideas, insights, and walking down memory lane, and it all blends together in a way that makes you look back later wondering whose memories belong to whom. I find that it doesn’t matter if you are a brother to a sister or a sister to a sister, when no one understands you, turning to your sister can help. 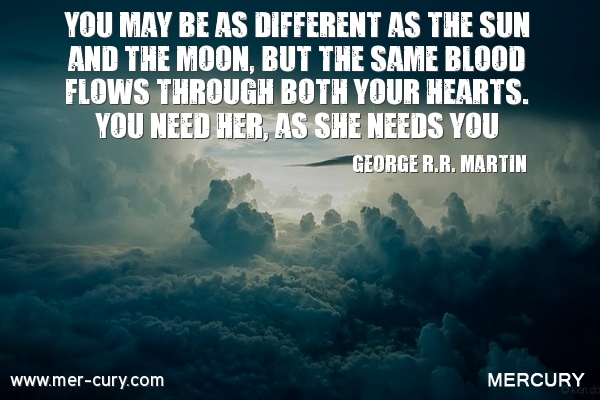 It doesn’t matter if you are not as close as the woman in the above sister quote. Talking with your sister is the ultimate way to remind yourself that someone else out there understands you on a level that you want to be understood on. They don’t try to make you be someone different than they are because they long ago accepted you for who you are. That’s the ultimate type of person to have in your life. It doesn’t matter how much you argue about stupid things or how honest you are with each other (where a few hurt feelings arise), your sister is always someone you need in your life. In fact, nobody is more honest than a sister, so if you don’t need her for anything else, then you need her to tell you when you are acting like an idiot or getting ready to send a completely different vibe out into the world than you want to. But a sister is needed for many other reasons. They are there to remind you of who your parents are or were. They are there to remind you of where you came from and how far you have come in life. They are there to remind you that family is always something you can depend on, even when so-called friends give up on you. They are an important part of keeping you sane, making you feel loved, and giving you a sense of belonging in this world. That’s why they are so needed even when you are complete opposites. Now, I know that many brothers stick up for their sisters with a vengeance. I know one guy who in his younger years held up his sister’s bully over a railing from the second floor just to convince him that he should stop bugging his sister. Brothers have a way of confronting those bullies, ex-boyfriends, and everyone else when their sister is not around. But, when you have a sister and a sister in a situation where one needs help, then you have to deal with two women who are not very happy and know how to get their point across. Sisters can fight and talk bad about each other, but they will stand together when they have to. 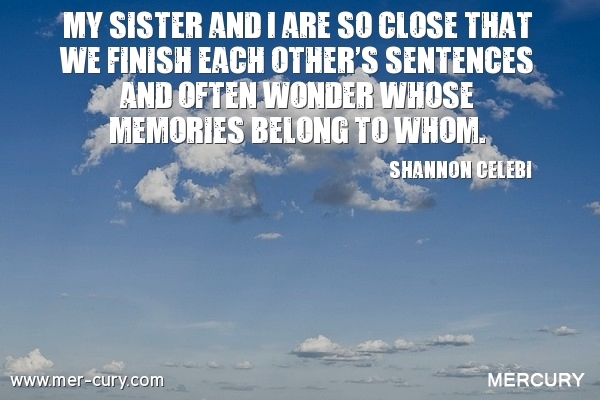 And, if you have ever tried to come between two sisters or pick a fight with one sister while the other one is there, you know that things can get pretty tense. I think as siblings, we have a desire to protect each other. Even if we don’t like our sibling at the moment, that desire to protect them is still there if a threat comes into play or if they need us. It doesn’t seem to be lost with age, distance, or differences. 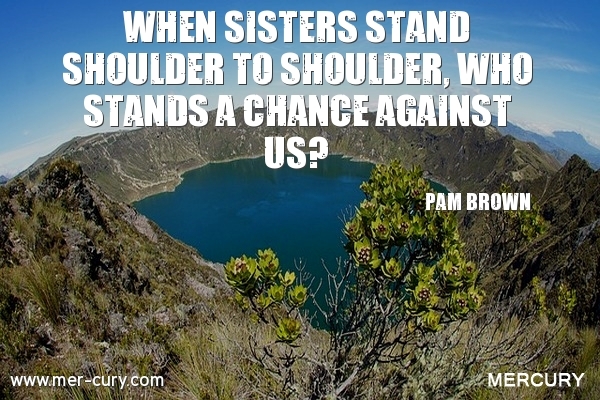 It’s always there, and it is what makes sisters feel as if someone is always on their side when they need them the most. So anyone who crosses someone’s sister better watch out! This includes people who break her heart and people who try to talk bad about her, and if you are a combination of the two, you better hope you don’t run into her brother or sister ever! Have you seen the show Daredevil? In one of the episodes, a few reporters are talking about how bloggers are now making more than double what they are! That’s the first time I’ve heard that said out loud on a TV show, but I’ve known that it’s been true for quite a while. The fact is that blogging can be a lucrative business with the right effort and business plan, but first, you need to create a blog that looks good and functions well. WordPress is the blogging platform of choice. It is constantly updated by the creators to continuously make a stronger and better platform, and there are so many themes and plugins for WordPress that it doesn’t matter what your blog is about, you can make it look professional and create a living off it. Bluehost hosting is one of the most popular hosting sites for WordPress, and while it may seem daunting in the beginning, it is actually quite easy to start a WordPress blog on Bluehost. In fact, they have joined forces with Mojo Marketplace that was designed to make things like installing WordPress, themes, and plugins easy and safe. Before I talk about how to start a WordPress blog on Bluehost, I just want to really drive home the importance of using WordPress for your blog and doing it on Bluehost. 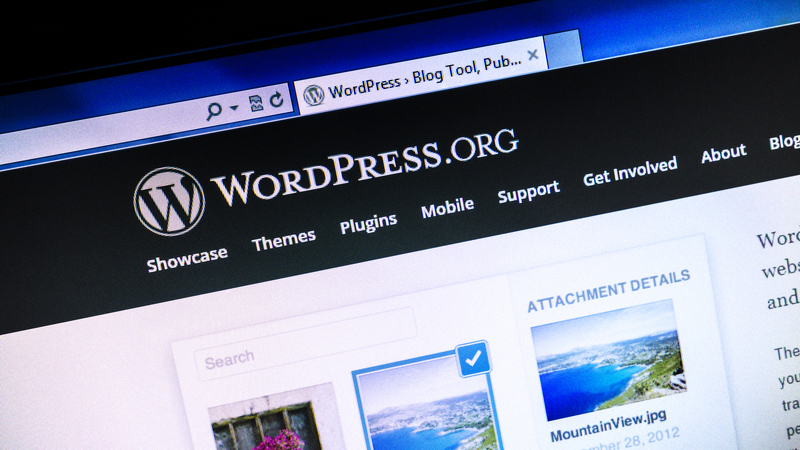 WordPress gives you complete control over your blog. What it looks like, the content you put on, the ads you put on, the tone of the blog and everything else is left up to you when you use WordPress. If you are planning to do more than just write posts about your life day after day, then you need to create your blog on WordPress right from the start. Bluehost offers everything you need to host your WordPress blog, including 99.99% uptime – which means your blog will be visible to 99.99% of the visitors. It’s easy to install WordPress with Bluehost, as you will find out in this article on how to start a WordPress blog on Bluehost, and it has an affordable price tag with it. Plus, Bluehost has hosted over a million WordPress sites, so they know a thing or two about helping WordPress blogs thrive! Note: If you have already signed up with Bluehost and have a domain name with Bluehost or pointed towards Bluehost, then skip to step 2. The first step is for people who are not signed up with Bluehost yet. The first step in getting your WordPress blog up and running is to sign up for hosting with Bluehost if you haven’t done so already. You can sign up for optimized WordPress hosting; however, the price tag is a little higher than regular hosting. 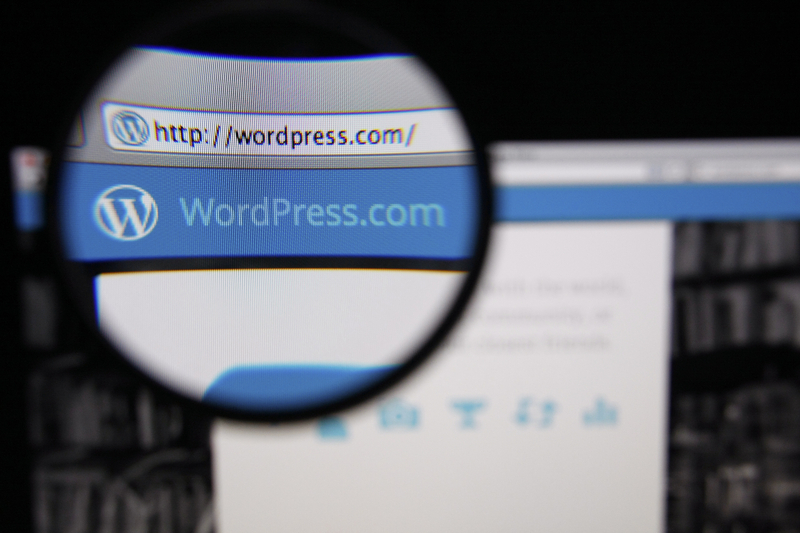 This is because optimized WordPress hosting offers a safer, faster, and easier to use the platform. 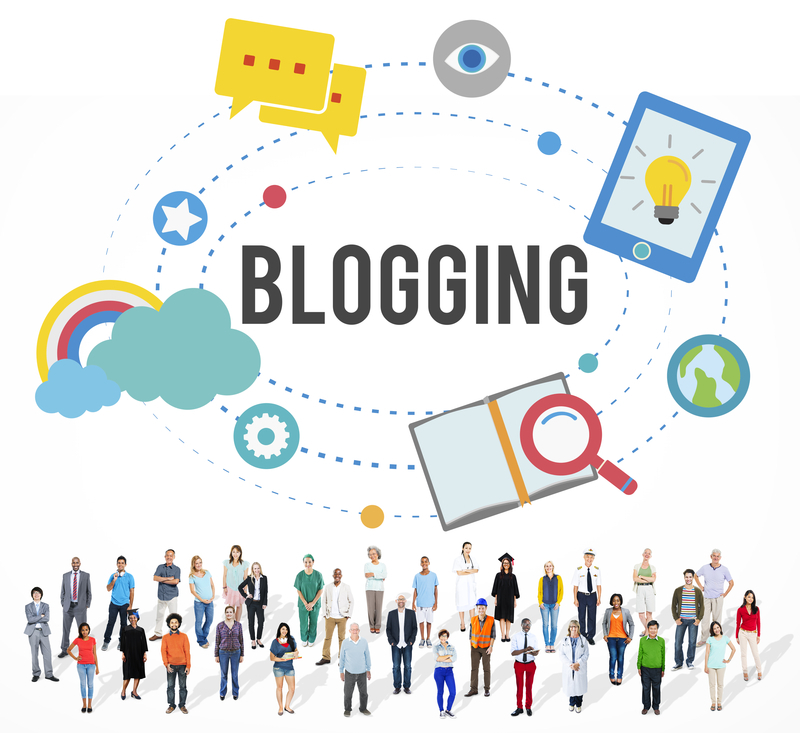 Usually, people who have been blogging for a while will want to use to optimize WordPress hosting once their blog starts to experience performance issues due to a rise in traffic or other positive issues like that. Stats have shown that this optimized hosting can drastically improve the time it takes for visitors to download a page. 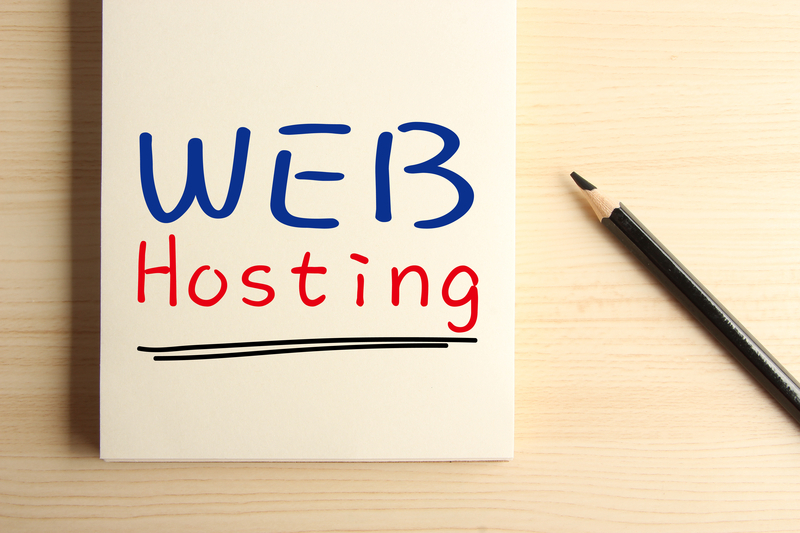 However, I’ve seen mixed reviews on how beneficial the optimized WordPress hosting really is. The bottom line is you don’t need optimized hosting. If you can afford it, then you may want to but it. As of now, you pay an initial $12.49 and then $24.99 each month after. That’s not a bad price considering all you get, such as up to 100 million visitors a month, 5 managed WordPress sites and an enhanced control panel. In fact, if you can get your blog up and running quickly, and it becomes lucrative quickly, then you could be making so much money that your hosting will be peanuts in the grand scheme of things. Depression is a serious thing. 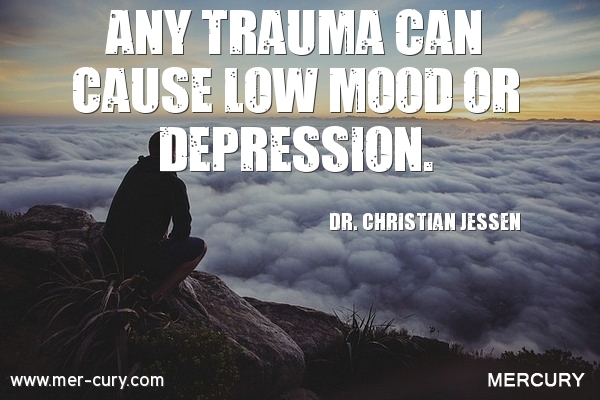 You can be feeling depressed thanks to a mood or physical disorder, or you can be experiencing major depressive disorder or dysthymia (mild depression). People who are not depressed have a lot of things to say about it, but the people who have lived with depression or are living with depression are often the people you want to turn to for advice. They don’t just tell you to smile and ‘get over it,’ instead, they offer some real advice or insight that may help you no matter how depression is affecting you. 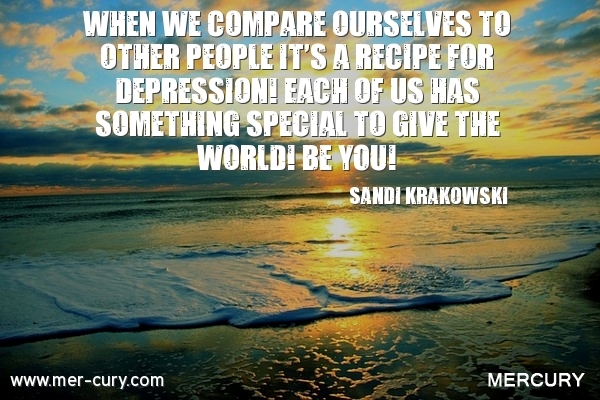 The following depression quotes are worth talking about! One powerful video from BuzzFeed features a man who jumped off the Golden Gate Bridge in an attempt to end his life. He ended up living, even though he was in incredible pain from the jump. He felt alone in the world, which is one of the reasons he decided to jump, but one of the things he says in the video is that he instantly regretted it once he jumped over the rail, and he said that other survivors have said the same thing. Thousands of people can’t take it back, and they die once they take the leap off the bridge. Thankfully he was able to take away a few lessons from it, one being that life is not hopeless. He says that he still suffers from the depression and other illnesses that he was suffering from, but he’s learned how to cope with it, and he’s learned that recovery can happen. The something ‘new’ in the above quote is really about searching for help. Find new ways to deal with, treat, or overcome your depression. Don’t let it get you down where you throw your hands up in the air and feel like you are never going to be able to overcome it, because that’s when you will let it overtake your life and suffer the consequences of it. 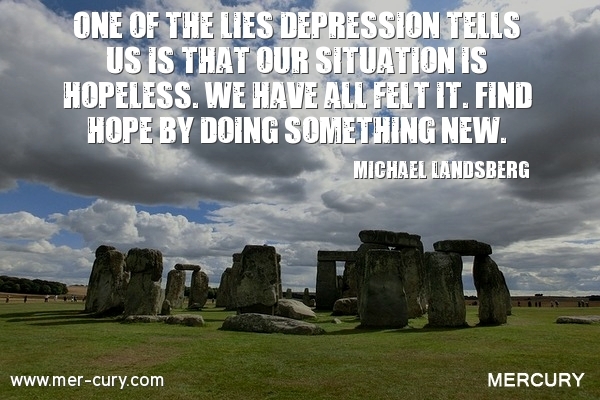 Remember, it’s a lie that depression is hopeless. You just need to find the right way to help you deal with it. 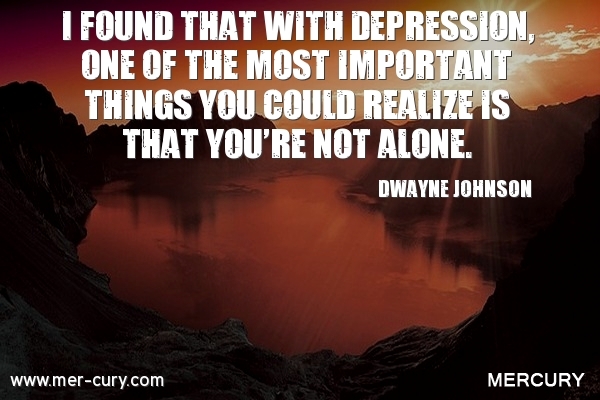 It’s important to understand that depression can and will affect your life negatively. According to the World Health Organization, it is the leading cause of disability worldwide. In other words, it affects people’s lives in a disabling way. Trying to deny what you feel and who you are is not going to help you or your depression. It’s not going to hide your true self, make you feel better, or give off a sense of being OK when you are not. You are not always going to feel good when you are expected to feel good, and that awareness will help you to stop beating yourself up over not being able to be like other people want you to be or act like other people want you to act. You may find yourself feeling good one day and down the next, and the people around you will tell you just to be like you were yesterday, not understanding that depression has its own schedule and even though you should feel good, you just don’t today. If you listen to them and beat yourself up over your change in mood, then you will just be making yourself feel worse. 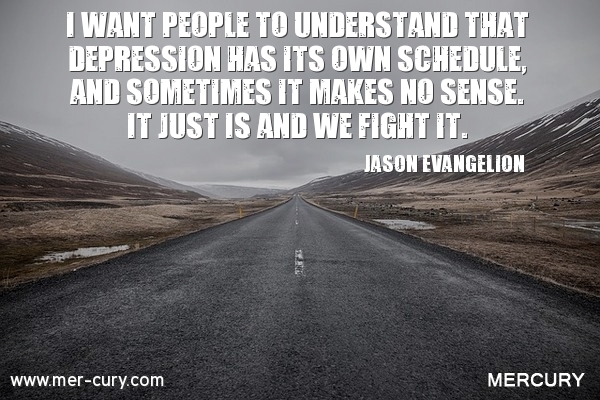 As long as you are taking steps to fight your depression, don’t fight your natural moods by making yourself do things that make you miserable or try to pretend to be someone you are not. You are depressed, and that is a part of who you are right now. This is one of the best depression quotes for people who just don’t feel depressed. Just because you don’t feel depressed, doesn’t mean it is not a real thing. When someone is unable to get out of bed or has to force themselves to get out of bed, don’t just tell them to ‘snap out of it’ and enjoy life. It doesn’t work that way. If they could, they would, but if they are not feeling the motivation or the energy to do what they are supposed to do, then it’s just not easy to jump up and face life with a smile. Telling people that they should just get over it doesn’t help, it only makes things worse. If someone doesn’t understand why they are feeling how they are feeling, then they may feel as though they have become a burden on you and their depression may become even worse, or, they may end up taking their own life. Depression is the most common illness of people who commit suicide. It’s not a game. It’s not something that they can just snap out of. It’s not something that can be explained away. It’s something they need help for, so if you want to focus on anything, focus on that and supporting them. 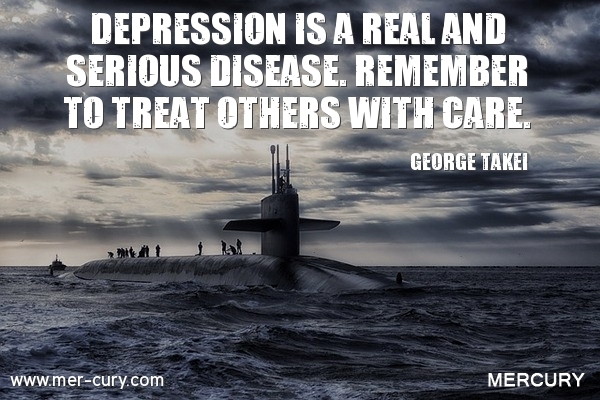 And, educate yourself on depression so you can help them in a way they need to be helped by you. One of the best ways to feel depressed about yourself and your life is to tell yourself that you lack something in life. And one of the best ways to do that is to compare yourself with other people and make it seem like they are better than you or have more than you. When you would rather be someone else, or live someone else’s life, things can get pretty depressing. Always remember that you are unique and special and have a lot to offer the world just as you are. Moreover, try to appreciate what you have and where you are in life. Appreciate the little things and look for things to be grateful for in your own life. As a side note, if you are on social media and depressed a lot, then you may want to cut out your social media for a while and see if that helps. The constant stream of information on social media can be overwhelming and make you much harder on yourself than you should ever be. The online world is not real. It is full of images and stories that sound wonderful, and it can be easy to start to resent other people for what they have and wish you had more, both of which can contribute to depression. Moreover, social media can be a really depressing place – worse than the news. So much so, that I’m surprised there are not more depression quotes about social media! It can make you think the world has gone to hell, and that bad things are happening everywhere at every moment. It’s hard to see the positive amidst all the people sharing and talking about the negative. And, the negative commentators with their ability to spread hate on every photo, video, and article posted can really bring you down. The man that I talked about in the first point, who jumped off the Golden Gate Bridge and lived, says that he built a support network so that he wasn’t fighting his struggles alone. He says that it is OK not to be OK, but it is not OK not to ask someone to help you. Doing that is just keeping yourself stuck in a place of depression without actively doing something to treat it. 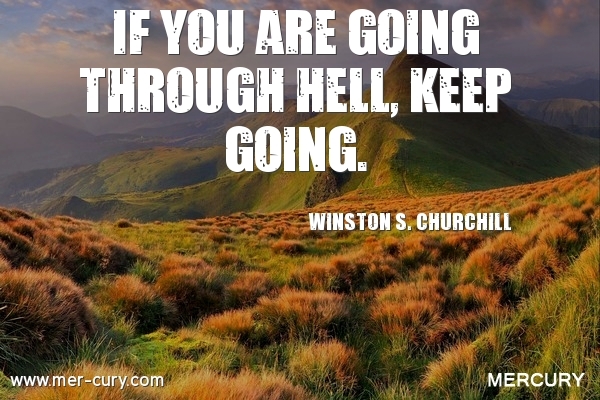 You may feel like it’s only you who is going through what you are going through, but it’s not. 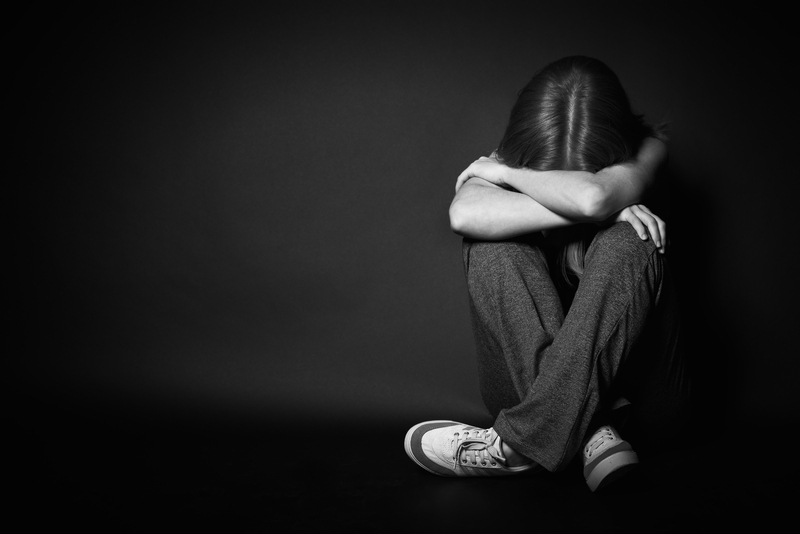 Globally, there are an estimated 350 million people living with depression. There are other people who understand you, and there are people who understand depression and can help you find effective treatments for your depression. In short, knowing you are not alone, you need to reach out to people who can help. If you don’t, you can’t get the help from them. You can’t talk to them and relate to them. You can’t figure out what treatment is best for you. And, you can’t support other people through their depression. If you act like you are the only one with your feelings and thoughts, then you are going to isolate yourself into a space where depression will have a hold on you. 6. Can You Become Depressed Over A Broken Heart? The right blog name is important. It can help you stand out amongst the crowd and convey exactly who you are or what your blog is about. If you choose a blog name that doesn’t make sense or doesn’t resonate with your readers, then your blog’s success can be affected negatively by that. Moreover, your blog can be affected negatively in the search engines if your blog name doesn’t make sense. Even Hubpages, a huge site where many different writers are writing about various topics, is creating new blogs with better-suited blog names that match the various categories. For example, ‘Hubpages’ is a blog name that just doesn’t make sense for things like food, which is why they created the blog name ‘Delishably’ and transferred all food posts from Hubpages into that blog. In short, for your blogging success, it is important to put some thought into the name you want to use. 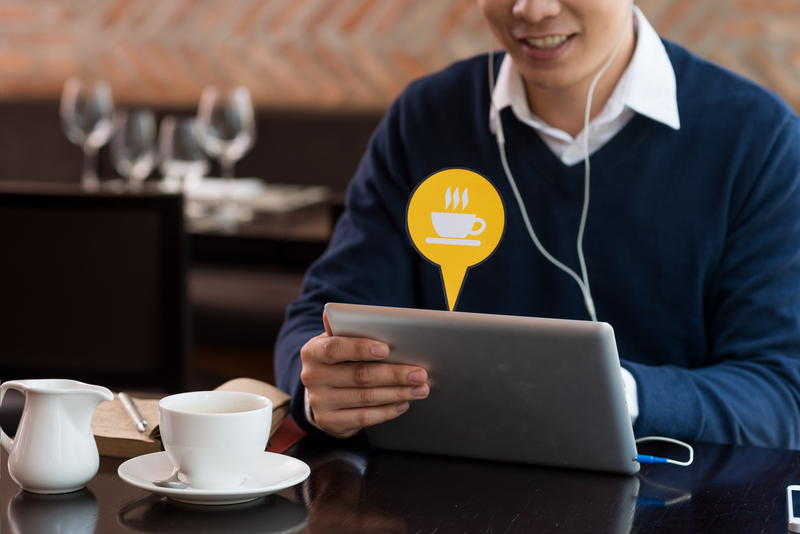 Let’s talk about how to come up with a blog name that resonates with you and your readers. 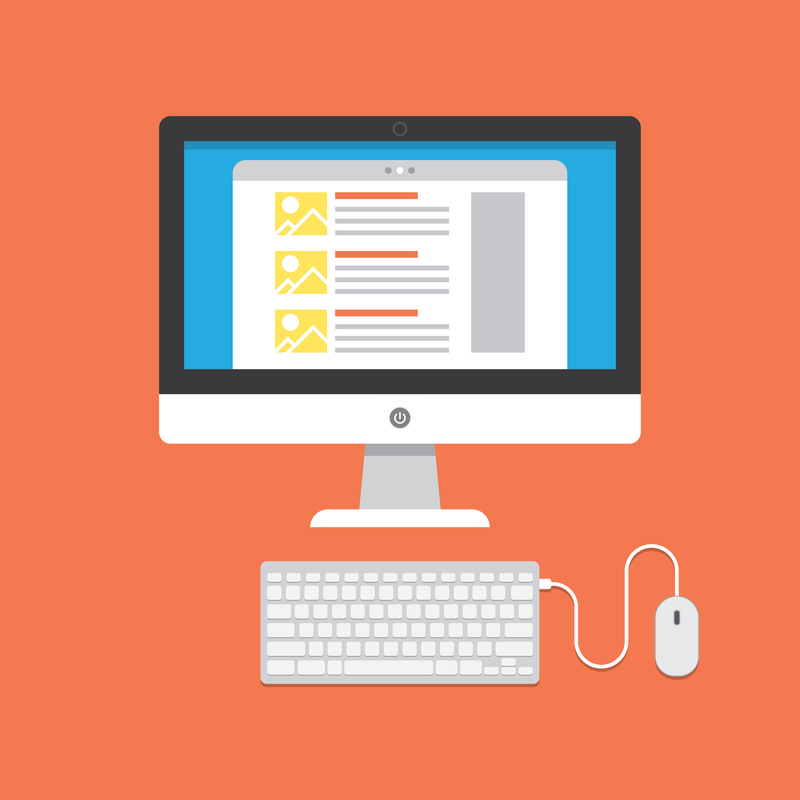 If you haven’t already, you need to create a content plan for your blog. Figuring out what you want to write on your blog, the direction you want to take it, and what you will always focus on are all important aspects of coming up with a blog name. If you are not crystal clear on your blog plan, there are some questions you can ask to get clear. Make sure you know the answers to all 4 of the following questions. You probably already know the answer to this. But, if you don’t, you really need to sit down and figure out what you want to write about. 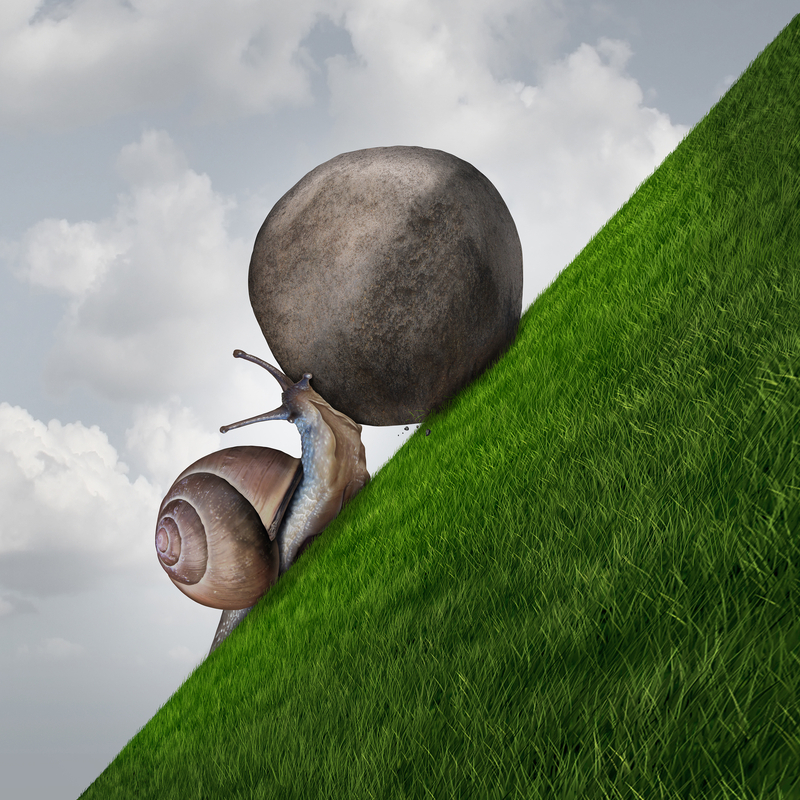 The main question to ask yourself is what large and small niche it will be focused on? For example, if it’s a food blog, that is the large niche, and if it is focused on vegan recipes, then that is the smaller niche. Deciding this in advance will help you answer the other questions. If you want to write about many different things that don’t fit into one niche, that’s fine. But, you have to be clear on that so that you can pick out a blog name that resonates with that idea. 2. What topics am I going to write about? What categories are you going to include and what topics are you going to write about? You may already have an idea, but if not, then research what your niche audience is interested in (especially your smaller niche) and create some categories and topics from that. And, if you are going to be writing about many different things, just jot down the main topics that you really want to focus on. 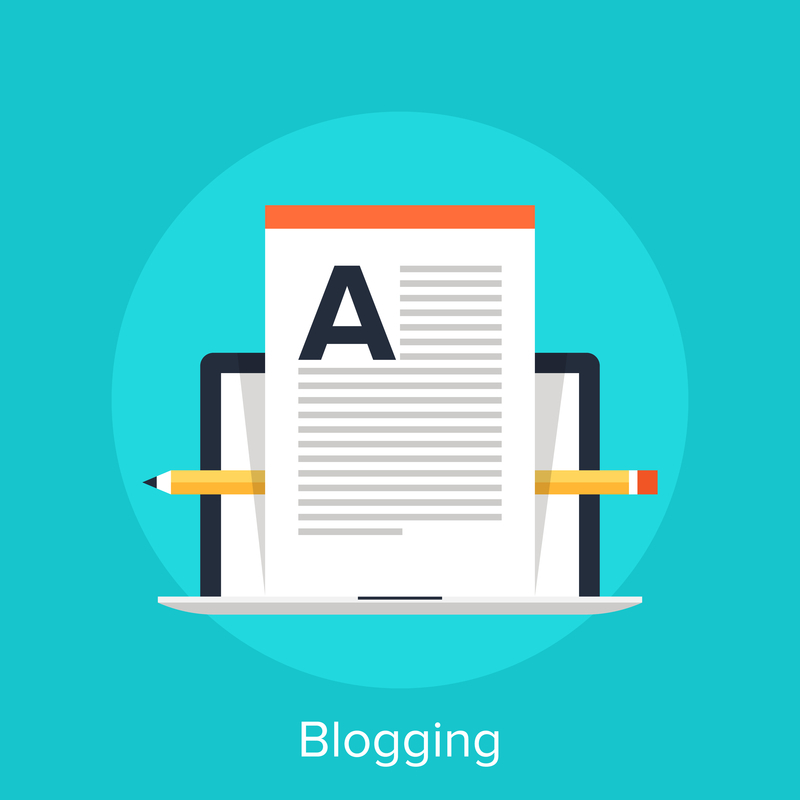 If you are not sure what you are going to be writing about, then you need to get on other blogs in your niche and find some topics that work for you. I recommend you create a list of the top blogs in your niche and study those blogs carefully. 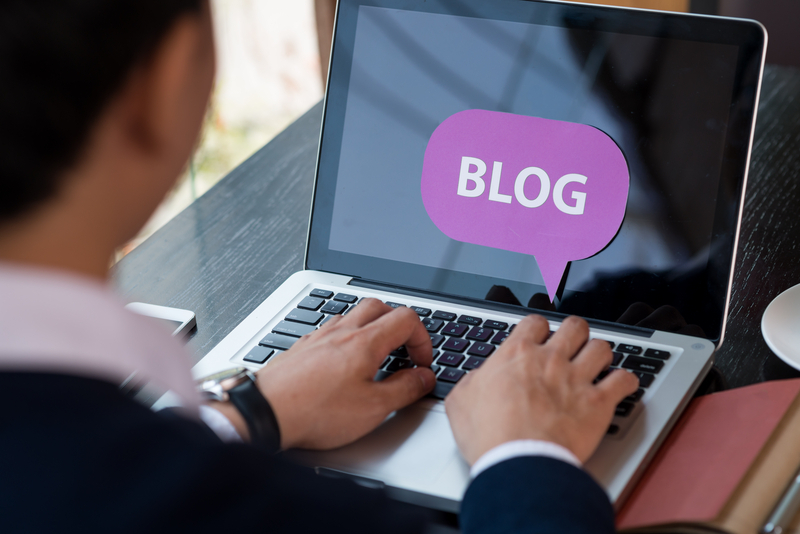 Obviously, whatever those bloggers are writing about is resonating with their audience, so you can use that information to help you create a blog that is going to also resonate with your audience. You can even look at the comments on each post to see which blog posts are really resonating with the readers and which are not. Don’t copy other blogs exactly – even if you do find a blog that is killing it on all levels. People on the Internet already have that blog to go to, and your copycat blog won’t add anything new to their life that the other blog can’t already add. In short, find something that works and add your interests and ideas into the mix. You don’t need to reinvent the wheel. If it is working for popular bloggers, then it can work for you too. 3. What do I want my blog’s writing style to be? Do you want to write in a friendly or professional tone? Will you write swear words or will it be kid-friendly and non-offence? Will you include humor, be sarcastic, or be strictly serious? Deciding what the tone of your blog is going to be like will help you decide what your blog is going to feel like and what you want your readers to feel like when they visit. And, it will help you zone in on a blog name. For instance, a vegan blog that is humorous could handle a funny or slightly off-the-wall blog name without confusing readers, whereas a serious vegan blog wouldn’t be able to get away with a funny or slightly off-the-wall blog name. It just wouldn’t fit. 4. What is my audience like? Is your audience going to be mostly men or women? Kids or adults? Parents or childless? Rich or poor? Open-minded or close-minded? Knowledgeable or looking for knowledge? All of these things can help you narrow down a name for your blog that resonates with the audience who will be visiting. Yes, it’s important to pick a name that resonates with you, but your blog – especially if you are trying to make money from it, should also really mean something to your audience. They are, after all, the people who are going to make your blog successful! You should have a pretty clear idea of what your blog is going to be about, what you are going to write about, what style your blog will be, and what your audience will be like. Now, you need to come up with words that fit with what you know. Following are some steps to take to help you do that. Take out a sheet of paper and create 4 columns. In each column, you are going to write words that come to mind for the above 4 questions. – Column one: Words that describe my niche. – Column two: What I am going to write about. – Column three: Words that express my blog style. – Column four: What my target audience wants or needs. For instance, if your small niche is Golden Retrievers, the ‘golden’ may be a word that comes to mind for the first column. If you are planning on writing about training, then ‘training’ comes to mind for the second column. If you want your tone to be sweet, then ‘kisses’ or ‘hugs’ comes to mind for the third column. And, if your audience is going to be mostly newbies with Golden Retrievers, then ‘101’ or ‘tips’ or ‘help’ comes to mind for the fourth column. Money is an essential part of our lives. It’s always there. It’s always used. It’s always needed. And it’s always thought about. The following seven money quotes helped to create an interesting article on money and how we should be viewing and using it. 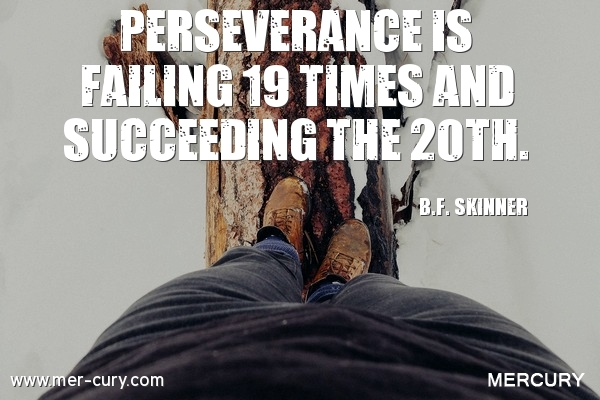 If you are struggling with money, want to view your money in a most positive way, or just want to be reminded of how awesome money is, the following quotes are for you. You have probably heard or said “Why save money? I could die tomorrow, so why not just spend it and enjoy it?” I get the mentality. Why not just spend what you make and enjoy your life in the moment. 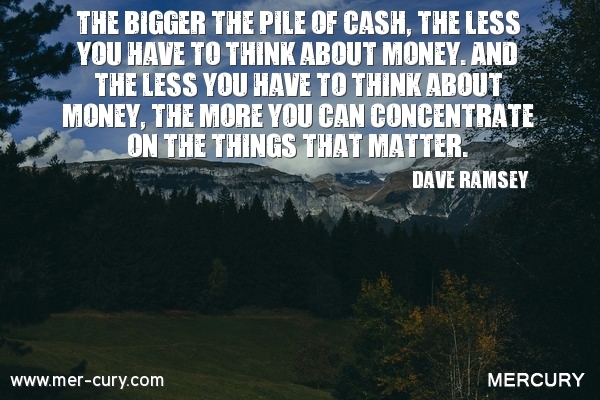 The above quote from Dave Ramsey is one of the money quotes that can clearly help you to see why it is so important to save up and get yourself a great big pile of cash in the bank. Dave Ramsey makes it very clear that when you are facing something that matters, such as a family or spiritual crisis, you don’t want to double your pain by worrying about money too. That is one of the truest opinions I’ve ever heard about money, and it should be something that you think about the next time you go to spend money instead of saving it. Yes, you will find joy in buying something right now, but if you are not saving money, then there will come a time where your pain could be doubly as bad because you will have to suffer through something that is happening personally as well worry about how to deal with it financially. It’s always better to have some money to fall back on. – If you lose your job, then a big pile of cash can take away a lot of stress. – If you lose a loved one, then a big pile of cash can help you take some time off work and nurture yourself without worrying about the bills. – If a medical emergency happens, then a big pile of cash can reduce a lot of stress that would come from having no money and help you tackle the emergency. In short, you need to save to help you get through those times of struggle with less pain and stress. Money isn’t everything, but it comes in handy when you are struggling in important areas of your life. I have heard that money can’t buy happiness so much, it is almost hard to fight that belief sometimes. So many people believe that money actually makes you more miserable than happy, but that’s not the truth. 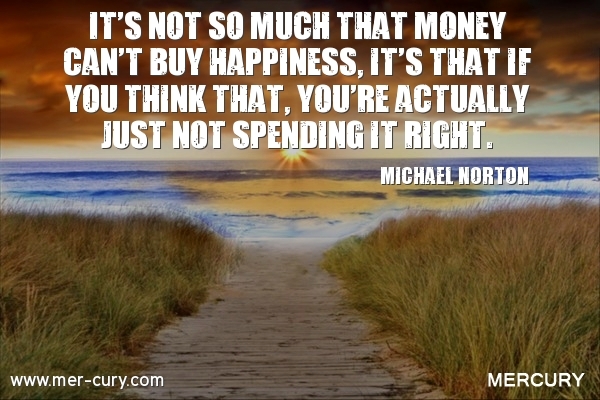 Money can make you incredibly happy, and the above quote by Michael Norton is dead on about how to make that happen. 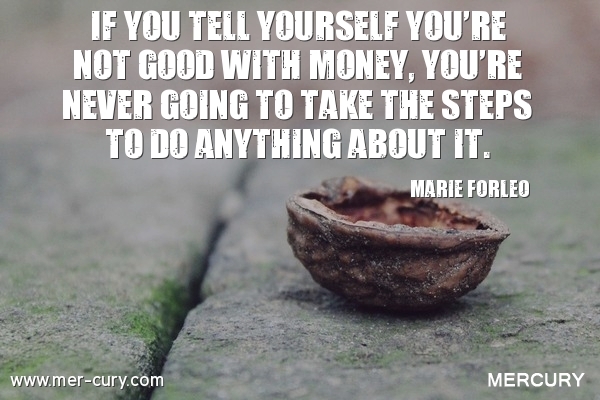 If money is making you feel bad, then you are not spending it right. So how can you spend money in a way that makes you happy? Give your money away! According to Michael Norton, in a study he did, participants found that giving money away made them much happier than spending money on themselves. For instance, buying coffee for someone else can make you much happier than buying for yourself. He found that there were similarities in different countries with different perceptions around money. And, he found that the way you spend money on other people isn’t as important as the fact that you spend money on other people. Therefore, buying a donut for someone else or a new car will both give you the same amount of pleasure. It sounds crazy, but it’s true! I would venture to say that buying for yourself, and for other people, is the ultimate combination to achieve happiness. When you can buy yourself things that make your life easier or give you pleasure, as well as buy things for other people that make their life easier or give them pleasure, then that’s the sweet spot for buying happiness with money. Are you waiting for your mother, your father, your siblings, your future partner, your current partner, or some mysterious force to bring you the money you really want? If you are waiting on someone else to help you have money, then that’s a problem. It’s going to hold you back from doing what you need to do to make your own money, and the longer you make this mistake, the longer it will take to build your own wealth. For example, a friend of mine depended on her husband to make money. She had her own business, and it was making a small amount, but she didn’t feel any pressure to make more money because she knew her husband would cover the bills and more, and she knew that down the line she was going to receive an inheritance that would make all her money problems go away. That mentality limited her own potential for wealth for a long time. Then, when her husband got sick and stopped working, and she was forced to create wealth. She made more money than she had ever made in her life, and the sense of pride and accomplishment she had from doing that encouraged her to keep creating her own wealth, even when her husband had recovered and went back to work. Don’t let yourself get stuck in the mentality that other people will take care of you. You will limit your potential if you do that. 4. How Do You See Yourself With Money? How you talk to yourself matters in life. It makes the difference between doing what you need to do and not doing anything at all. Therefore, if you tell yourself that you are not good with money, then you will never do the things that actually make you good with money! You won’t invest wisely. You won’t save money properly. You won’t pay attention to how much you are making and spending a month because, why should you, you are not good with money! There are a few things in life that we should all become an expert in. Our bodies, passions, and purpose in life are a few of those things, and so is our financial life. There is no excuse not to be good with money. The education is there, and all you have to do is take some time to learn and then implement what you learn. 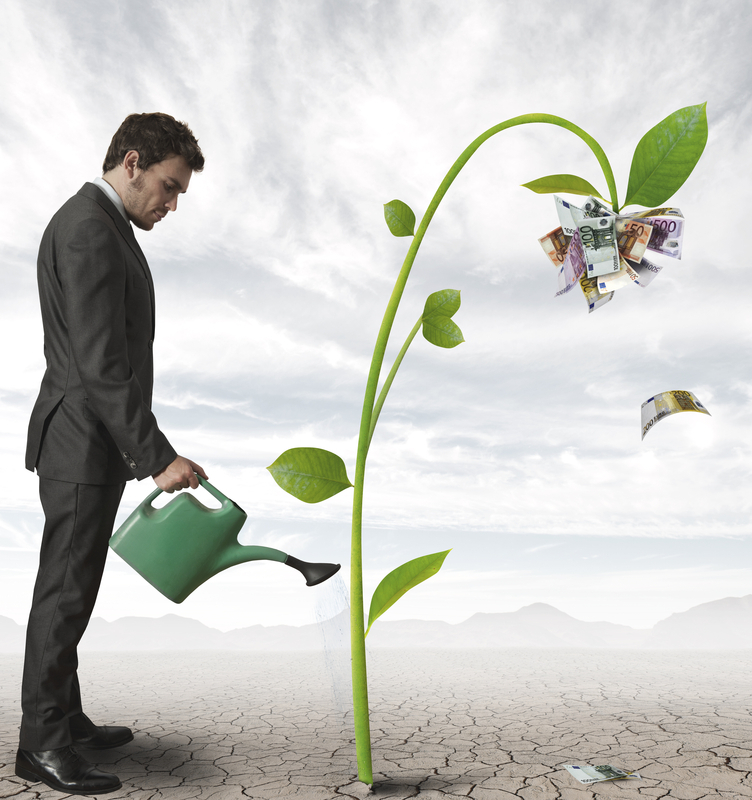 As many money transformation shows have proved, once you make learning about money a high importance in your life, you will see yourself as someone who is good with money, and your entire financial life will change. 5. The Difference Between Rich And Poor? 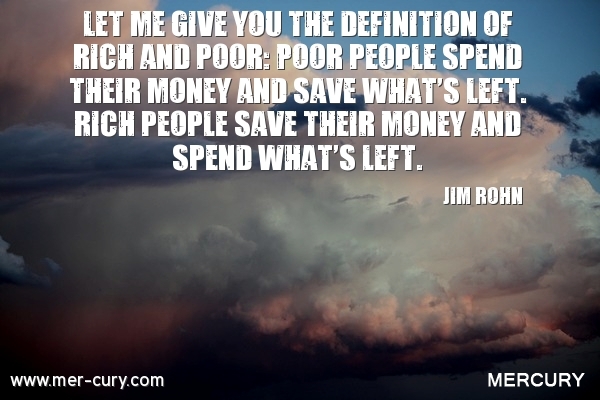 This is another one of those money quotes that clearly show why it is so important to make saving money a priority. The fact is that when you can save your money, you can become richer. The definition of rich is not based on how much money you make; it’s based on how much money you have and how many assets you have. Therefore, the more money you save and invest, the richer you are. So, while making more money can help you build your wealth and become rich, the priority thought when it comes to money, no matter how bad or good your financial situation is, should be saving and investing it. Jim Rohn says that you should save 10 percent of your earnings, 10 percent should go to charity, and 10 percent should go to investments. And you should learn to live off 70% of your income in regards to necessities and luxuries. Find a way to do this, and you can start building your wealth and becoming richer and richer. Education quotes are usually said quite passionately because the people who are saying them know how important education is. It is really true that the only people who think that education is not important are the uneducated. When I’m talking about education, I’m not just talking about taking a class and acquiring knowledge from it. I’m talking about learning everything you can about what interests you, what makes you happy, what the world is all about, and how to become the best you possible in this world. An education in something can be a random enlightening experience where you learn something valuable, but it can also be where you purposely go out to learn something. 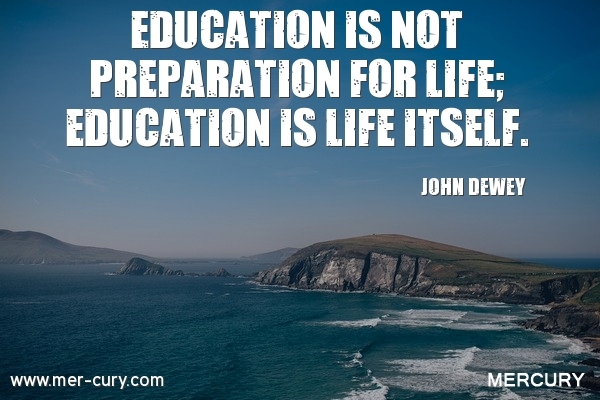 Following are some education quotes on exactly why education is so important in life. Can you imagine someone who refuses to learn and grow at the age of 10? They would be stuck with that 10-year-old mentality for life. Their knowledge wouldn’t suppress it so they literally could not be any smarter. The same is true of a 20-year-old, 30-year-old, 40-year old, and so on. When you choose to stop learning, you choose to stay stuck in the place you are, and you are unable to develop your talents and life in any way. Education and life go hand in hand. Every time you do something, you have an opportunity to learn something. Every time you learn something, you grow more into who you want to be. You become happier and live more abundantly and passionately, which is what life should be about. The whole point of education is that it gives you the knowledge to be who you want to be. This is one of the education quotes that should be posted in schools for kids to see and live by. It makes a clear case that we are not all the same, but we are all a genius at something. 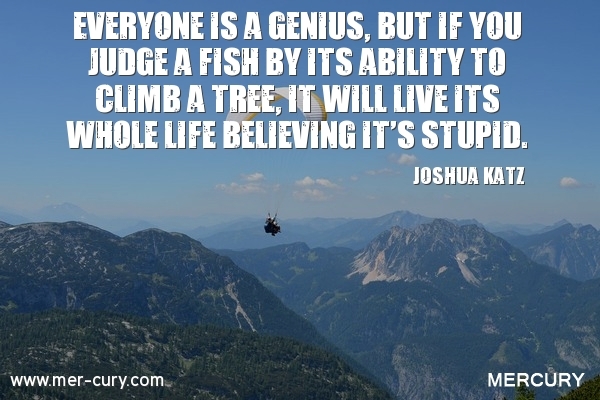 Just because a fish can’t climb a tree doesn’t mean it is not good at something, such as swimming. And, just because you don’t excel in math or science doesn’t mean you are not a genius at something else. That’s where education comes in. The ability to educate yourself in the areas of life that you want to be educated in, allows you to sharpen your talents, learn more about the areas of life you want to excel in, and understand more about who you are and what you are good at. The old belief was that you had to go to school to get educated, but there are plenty of people who have educated themselves outside of school and become successful. They followed their passion, educated themselves as they went along, and found success despite not actually going to a school where you sit down, learn from a teacher, and take tests. 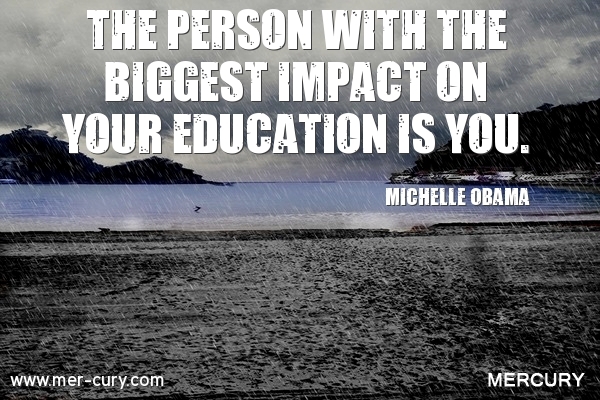 I think that the first 12 years of education are critical. Primary and secondary education teaches you the basics, helps you get into a mindset of learning, exposes you to a variety of areas that you can pursue after school, and gives you some real world experience with socializing and working with other people. All of those things are important, but after that, you can’t rely on a school to really educate you in life. You can go to college and learn about whatever field you want to go into. But, that school education isn’t going to give you the knowledge you need to really be successful in your career and your life. For example, I have a friend who is an accountant. 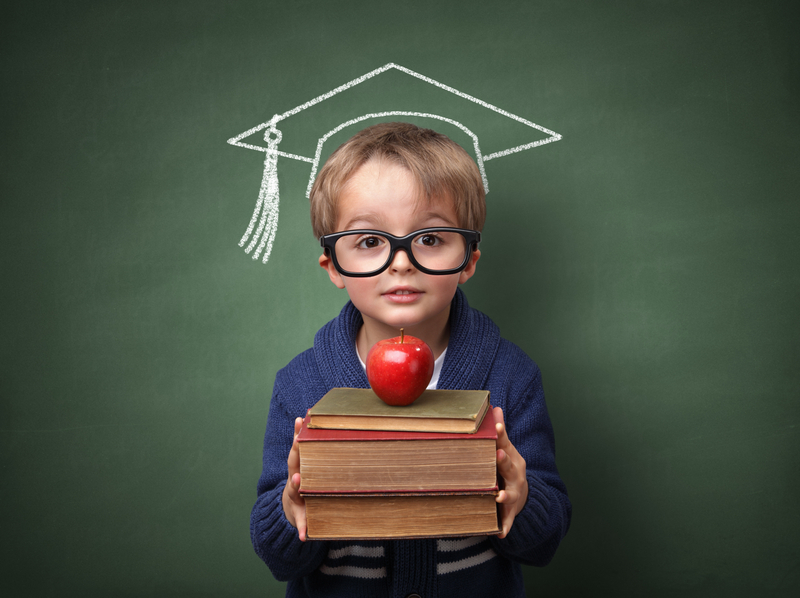 He hasn’t finished all the courses in school that he needs to get his Bachelor’s degree, but he has more knowledge and ability than anyone who has finished their courses in school that he works with. He reads up on what he needs to know as he works. He is passionate about what he does. He can figure stuff out that his fully-schooled peers can’t. And he is a shining example of why going to school doesn’t automatically mean you are more educated. The point is that you can educate yourself in the real world. Obviously, there are some programs that you have to take if you want to be accepted into a specific kind of job. Even though you can educate yourself outside of school, many professions still require you to finish an education and have a piece of paper proving it so that you can get hired. If you want to go to college, then that is on you. You have to do the work to get into that college. You have to save the money to pay for it. You can’t expect everyone else to do the work for you. If you do, then you may not get what you want or end up where you want. This is very important to remember. And when it comes to educating yourself in the real world, that is also on you. If you spend years not learning anything, then you can’t blame anyone else for your lack of knowledge. Your ignorance in your career and your life is on you. As said, you can educate yourself every single day in the real world. 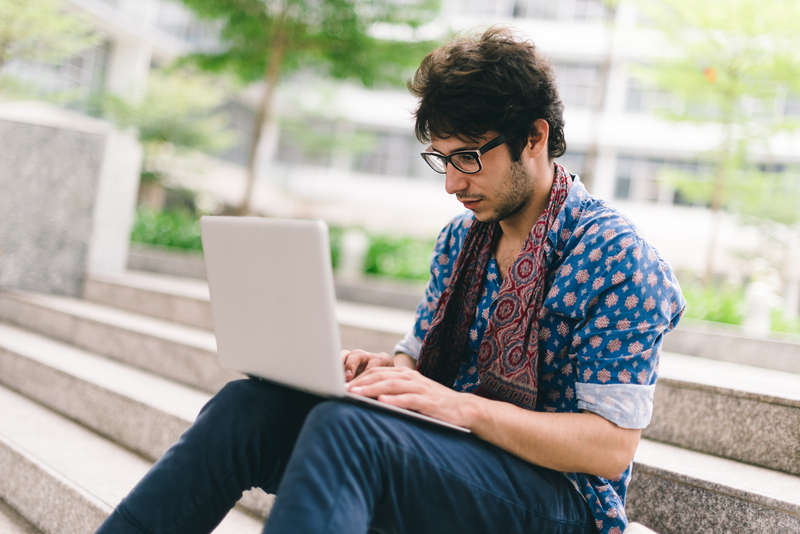 You can take courses online. You can read books. You can put yourself into experiences that help you learn what you want to know. Every year, I make a goal to learn some new things, and then I break up my year into segments and do the things daily that help me educate myself in those areas. 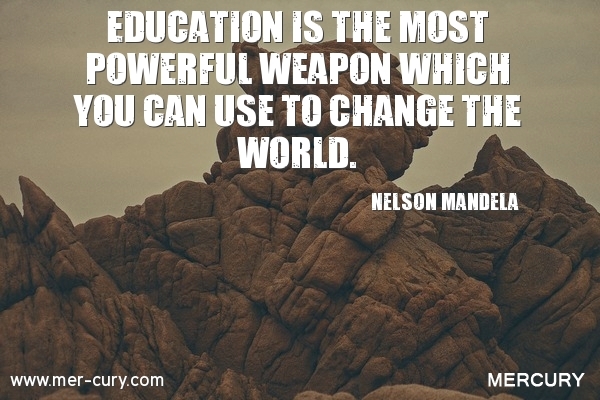 Each day I become more educated by making education a part of my daily routine. The more you know, the more you can contribute to society. Not just in terms of career, but in terms of awareness, compassion, aid, and patience. Uneducated people, the kind who lack information about life, themselves, and the world, make poor choices in their life that take away from themselves and society. They make poor judgments in their everyday life because they lack critical thinking skills and knowledge to make better ones. And the poor choices they make impact everything in a negative way. With education comes awareness, and with awareness comes the ability to do better things in this world based on new information that allows you to do so. Do you want today to be better than yesterday? Would you like every day after today to be awesome? If so, then following are some of the best quotes ever to make that happen. 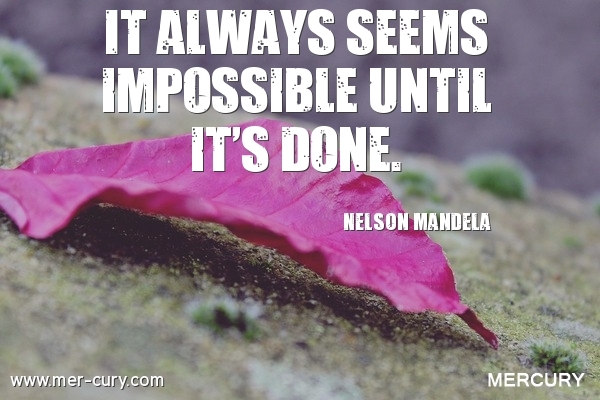 These quotes will inspire and motivate you, and they will help you feel better about your day, no matter what comes your way. 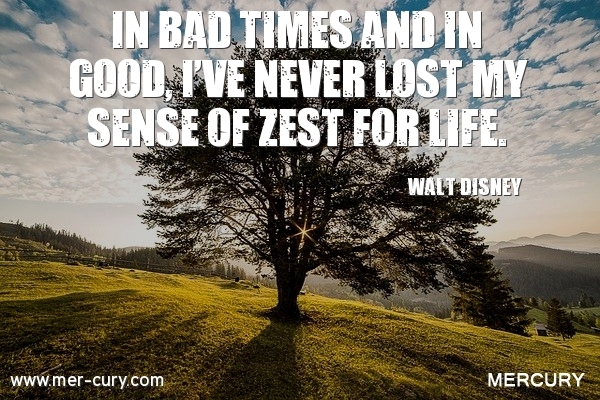 Walt Disney quotes have a way of making you feel young and alive. 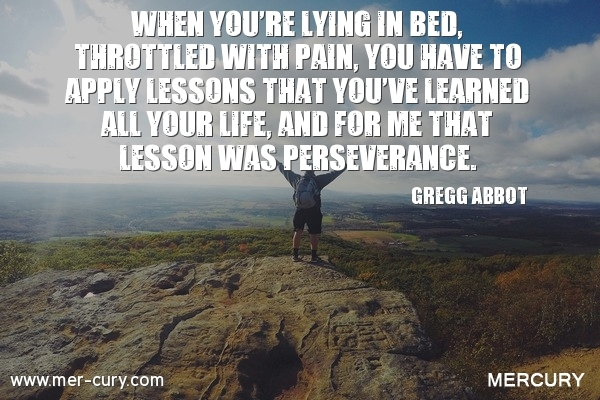 This is one of the best quotes ever to replicate a little of how he spent his days into your day. When you can find the fun, humor, enjoyment, and satisfaction in today, your day will always feel much better than when you focus on the lack of those things. It doesn’t matter what your day is like, you can have a passion for simply being able to experience it and be alive, and that is the ultimate way to have a perfectly wonderful day. 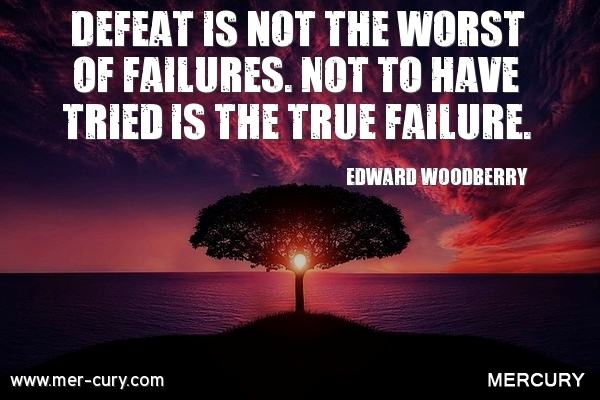 Battles are meant to be lost, but the true value in a battle is trying. Some people give up on themselves, their dreams, their health, their relationships, and their happiness before they have really tried, and that is a horrible state to live in. If you try something tomorrow and experience defeat, then pat yourself on the back for giving it a go, and let yourself rest with the peace of mind that at least you tried. When I read this quote, I pictured a kid. 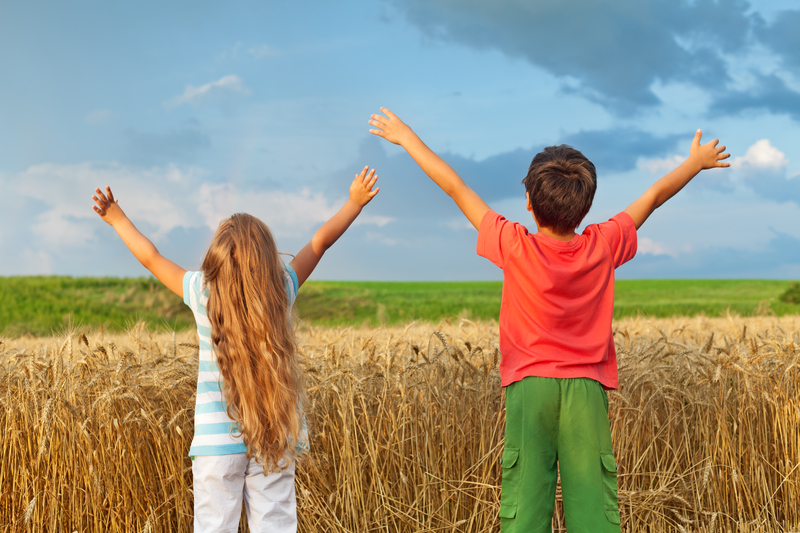 A kid does this naturally, and they enjoy their day immensely because of it. You don’t need to be naive to do this; you just need a little bit of wonder inside of you. Be mindful of what is happening, without judgment. 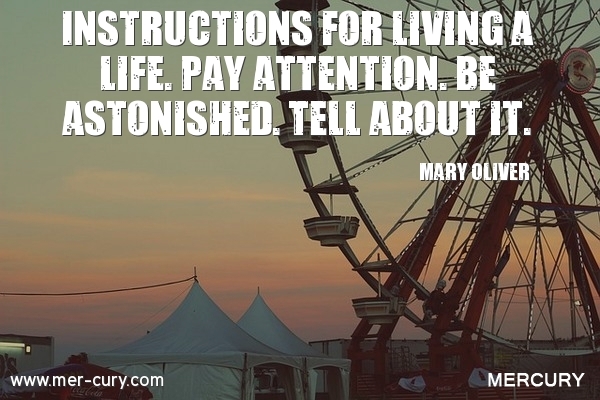 Listen, watch, hear, and use your other senses to really pay attention to what is happening. Be amazed at how things work out or don’t work out or come into your life. And then talk about it to someone you care about so you can reverberate that moment in your mind. This little practice will help you have much more joy in your day! 4. Your Perspective For Today? I know some people don’t like others who seem to be blindly optimistic, but the truth is those people experience a lot of joy in their day. They see the good in others and in bad situations. And no matter what happens to them, they can see how it will benefit their life. Then, they can take that information and use it in their life for their happiness and well-being. 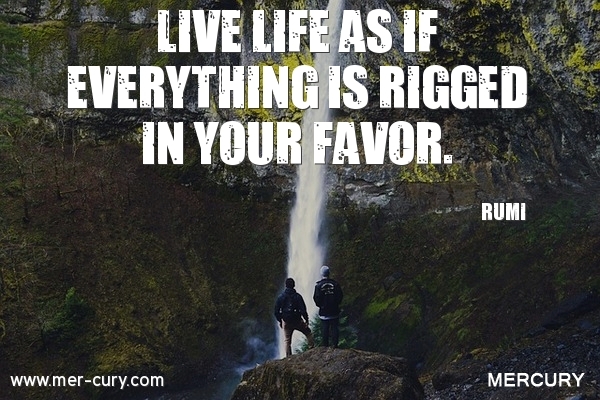 So, for today, see every situation as something that is rigged in your favor. Act as if it’s working for you, not against you. And then notice the impact that has on your day and even our future. 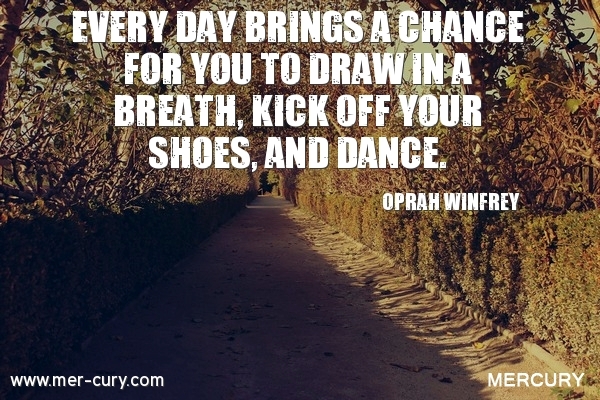 This is one of the best quotes ever for making the most out of your day. 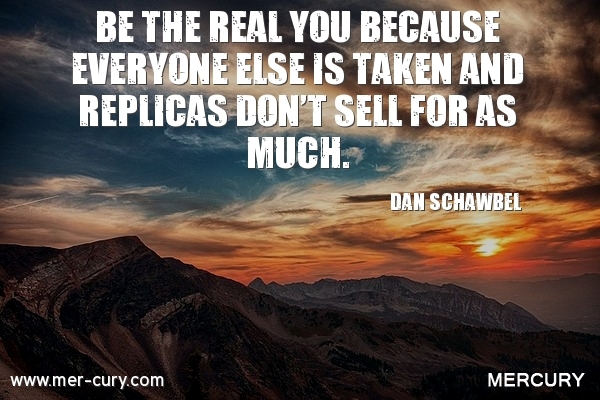 It’s a reminder that everyone else is already doing themselves pretty well, so you don’t need to behave like them. You need to focus on yourself, because when you do that, you are going to be worth much more to this world. You are going to contribute with your unique abilities, see things from your unique perspective, and add value to the world around you that no one else can. You can like other people and learn from them, but you can never become them, nor should you want to. 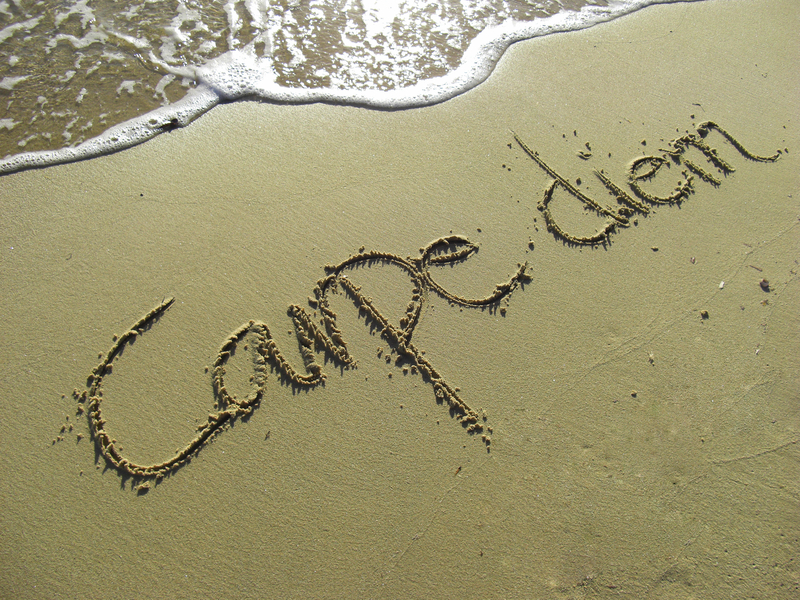 Carpe Diem is often used for emphasis after saying something that urges someone to make the most of the day and what they are doing. It is a useful piece of advice that reminds people to slow down and seize the day. While different people say it in different ways, such as ‘you only live once’ there is no denying that carpe diem is a powerful message that we want to embrace and to live. Following are some carpe diem quotes to remember when you get caught up in tomorrow instead of today. One of the problems that we have living a carpe diem lifestyle is that we are always watching the clock and living by the calendar. This can cause us to forget about the present moment as we focus on what is to come and how quickly it is coming. Obviously, we can’t get rid of our clocks and calendars, but this is one of the carpe diem quotes that can help you look at time differently. 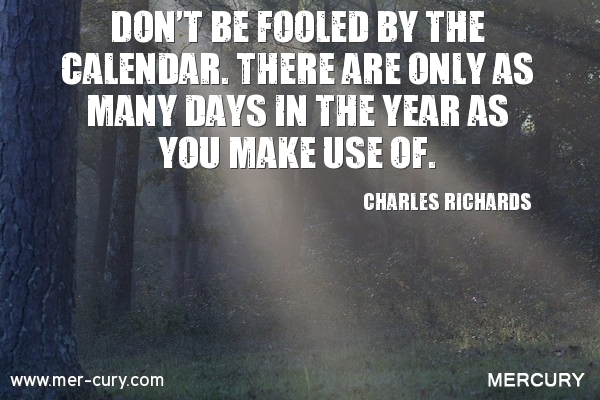 You may have 365 days in the year, but how many of them are you really making use of? 50? 100? 300? The best way to make use of all of them, and not waste a day of your life, is to seize the day – every day. A lot of people live like an oyster, trapped in a shell, unable to get out and enjoy the world. But, man was not meant to live that way! We were meant to explore and experience, and you can’t do that when you are trapped in a shell. That shell is limiting beliefs that keep people stuck from really making the most out of each day. If you are stuck in those limiting beliefs, you need to crack them in some way so that you can start living life. For example, you may shatter your belief that you can’t go out and have fun on weekday nights, or you may need to get rid of the belief that you can’t enjoy things while other people have it so bad. 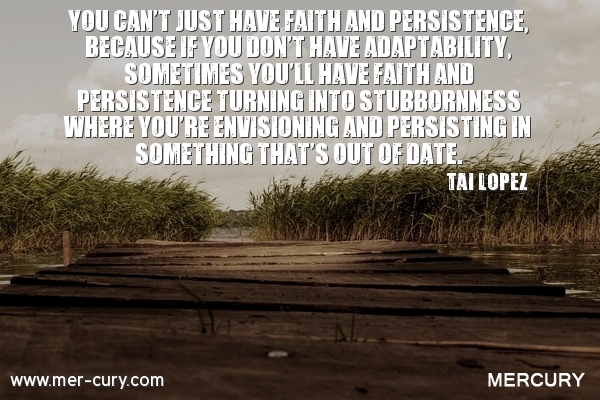 What limiting beliefs are holding you back from carpe diem? 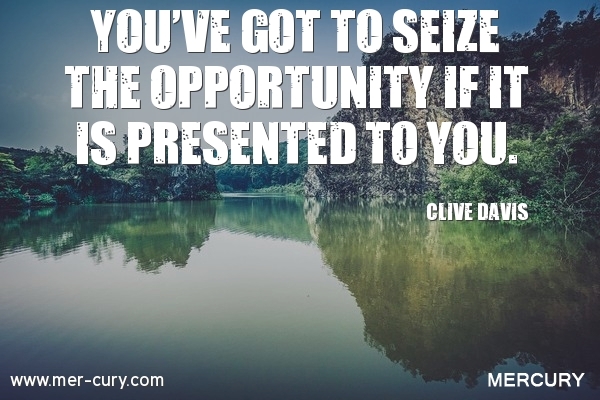 Some carpe diem quotes show you exactly why you need to seize the day, and this is one of them. 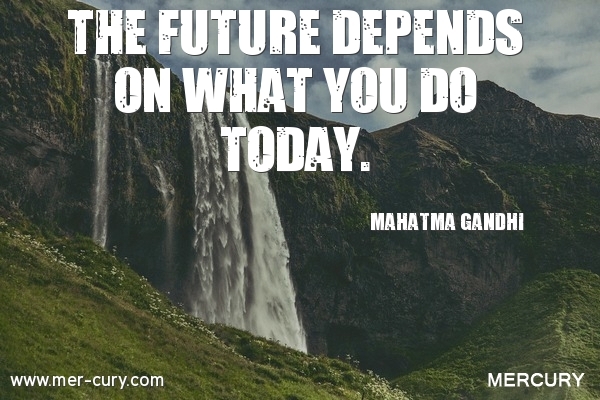 What you do today determines what will happen tomorrow. Your decisions and actions influence your tomorrow in some way. So, if you want to have more success, a better relationship, a healthier body, or anything else, then make the most of today and do the things that will help you get where you want to be. 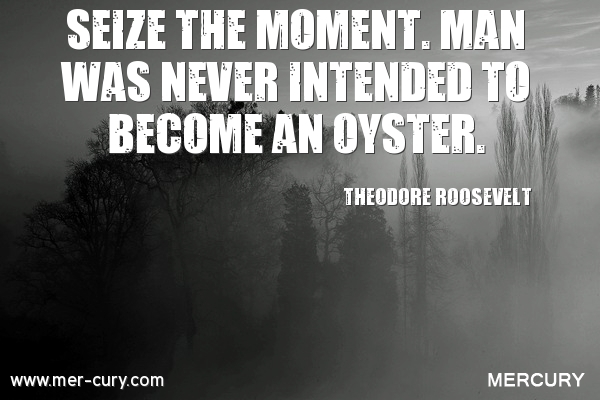 This is another one of the carpe diem quotes that will help you make the most of your day. 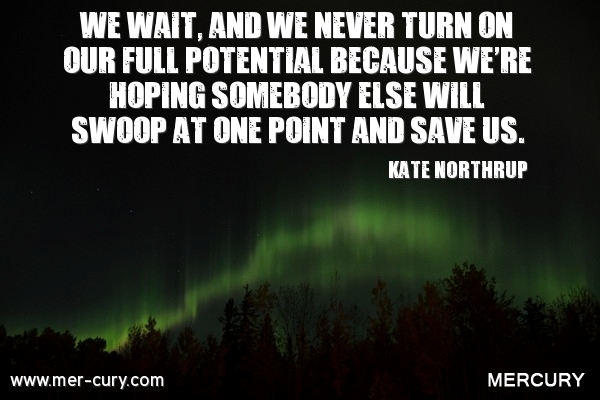 Recognizing that opportunities are in the here and now is important. You may be waiting for the perfect moment or the perfect weather or the perfect response from someone, but if an opportunity – even one that doesn’t seem like a sure thing – comes right now to have fun or create a better tomorrow, then seizing it will help you feel more alive and move faster to where you want to be. This is part of the law of attraction. You don’t know when opportunities are going to come and give you a chance to get what you desire. It could be today, and if you don’t take hold of those opportunities, then you are missing out on a chance to get what you desire quicker. Unfortunately, many people never seize an opportunity when it is presented to them, because they are always waiting for what they believe to be a better moment, and they never get what they really desire in life. You might be sleeping your life away and not even know it! How can you seize the day when you are asleep? The simple answer is that you can’t. If you are stuck in a certain frame of mind, or close-minded, you are closing off your awareness to new opportunities and lessons in life. If you are not willing to see that there are many ‘truths’ in life and they are all based on perception, then you are not willing to look beyond your ‘truth’ and open your eyes to what is actually happening around you. If you are stuck in a routine that is all work and no play, then you are that oyster that we already talked about – stuck in a shell (limiting beliefs) that don’t let you seize the unique day that is happening right now. It’s so simple. 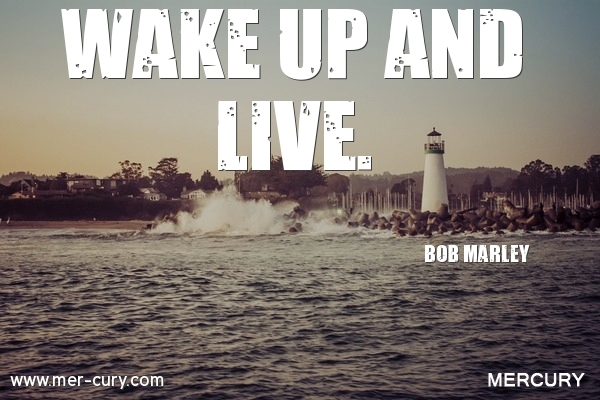 Wake up and live. Start taking advantage of the day and all the surprises that come to you. 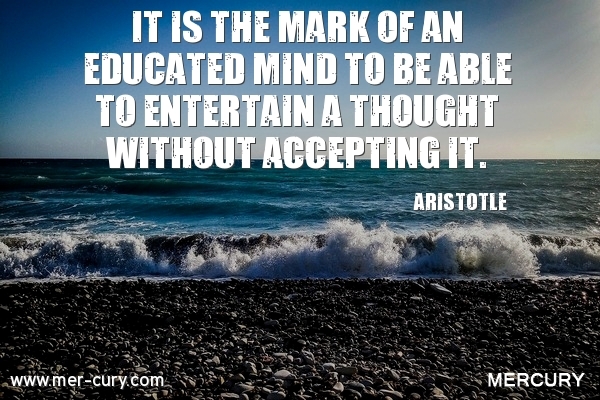 Start opening your mind up to new possibilities and new ways of thinking. When you do, you will become much more aware of the world around you and feel much more alive. 6. What Does Today Offer? 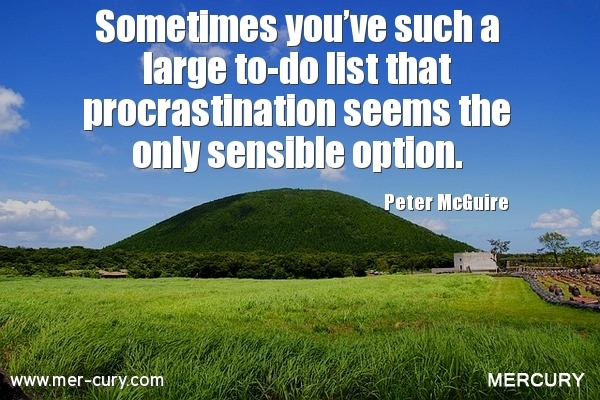 Trying to break the habit of procrastination is so hard! It’s much easier to do things that don’t matter, at all. For example, it’s much easier to watch every single video of a YouTuber that you don’t care about than it is to finish your work. With all information at our fingertips on the Internet, the temptation of finding out what happens next in our favorite show on Netflix, and the desire to just avoid hard things, procrastination is pretty much a guarantee without some motivation. Following are some procrastination quotes to help motivate you to build a plan that allows you to do what you need to do quicker. You may think that your procrastination is okay because you always end up getting the most important stuff done, eventually. But, if you have kids, friends, family, or a partner, then you are leading by example. You are telling other people what is imperative to you and what is not, and if they are impressionable, you are teaching them how to behave. That means that if you are procrastinating all the time, you are teaching them how to procrastinate, especially when you justify why you are procrastinating. For example, if you are procrastinating on living a healthier lifestyle, then you may say things like ‘You only live once!’ or ‘Being unhealthy is so much more fun,’ and those excuses are teaching the impressionable people around you to put off a healthy lifestyle, which will result in negative consequences that you don’t want for them. Moreover, you may be affecting other people negatively when you procrastinate. If you are procrastinating on things that could benefit them as well as you, then you are affecting them negatively in some way. Do you really want to do that? I know I don’t! 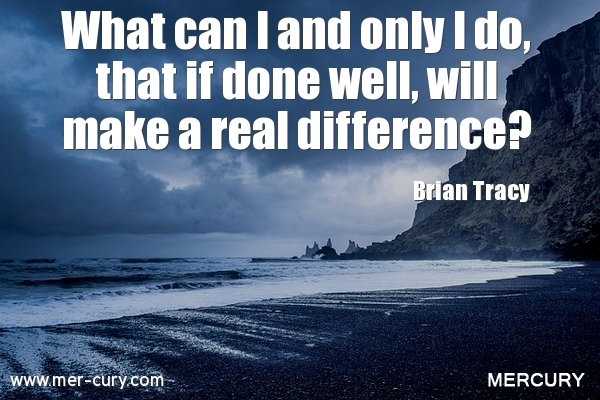 It’s a huge motivator for me to get busy taking action on what needs to be done. In a TED talk by Tim Urban, he talks about the panic monster and how it motivates you to get busy on something when a deadline is coming. For instance, if you have a paper due in 1 month, and you don’t do anything for 30 out of the 31 days, then the panic monster is going to show up on day 30 because your paper is due tomorrow. That panic monster scares away the monkey inside of you that just wants to have fun, and it brings your action-orientated self to the forefront. For most people, this works really well. The panic monster is a huge motivator that helps get things done. 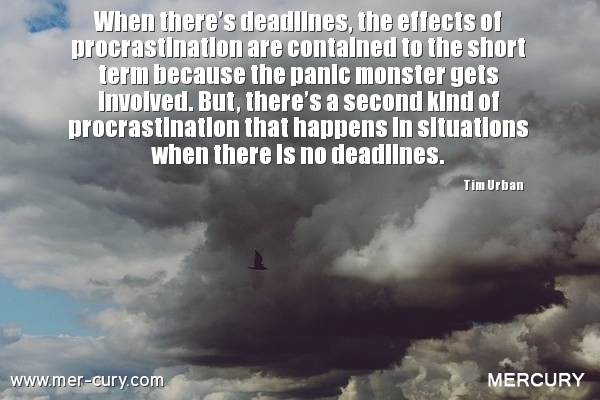 But, if you don’t have crucial deadlines, the panic monster won’t affect you at all! 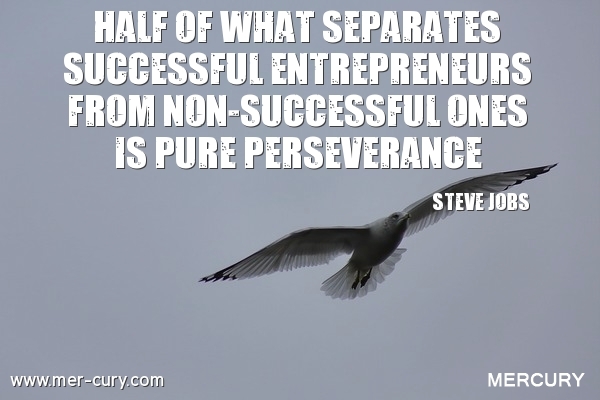 For example, if you are a business owner and need to get things going on your own, you don’t usually have concrete deadlines put forth by other people. You create your own deadlines, and if you miss them, then you just create new ones. No harm was done. Or, if you are working towards a health goal, you create deadlines and, again, if you miss them, no harm is done – besides some regret or anger. All you have to do is create new deadlines. The obvious problem is that every time you change your deadlines, you suffer quietly and live with more regret and unhappiness. If you can’t stick to your deadlines, you need to create deadlines where other people are holding you accountable so that you can unleash the panic monster when you get close to them. You need to join groups, get help, and set concrete deadlines that you can’t allow yourself to miss. This may not cause you to stop procrastinating altogether, but it will help you work hard when you know that your deadline is approaching fast! 3. What Do You Need To Set Deadlines On? 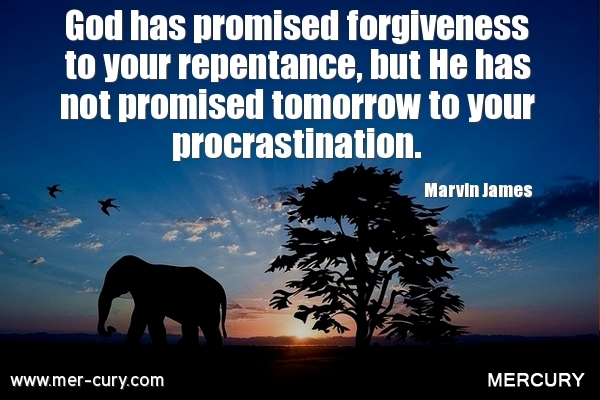 When we procrastinate, we say we will do something tomorrow. But, for many people, there is no a tomorrow. Death, injury, or a complete change in life can happen without notice, and you may not get a chance to do what you want to do or need to do ever again. That’s why there are some things that you must create deadlines for today. These include things that you want to do so badly that you can’t see yourself dying before you do them. These include the things that you would regret if you were suddenly incapable of not being able to do something about it tomorrow. You already know what those things are, so get busy taking action on them. 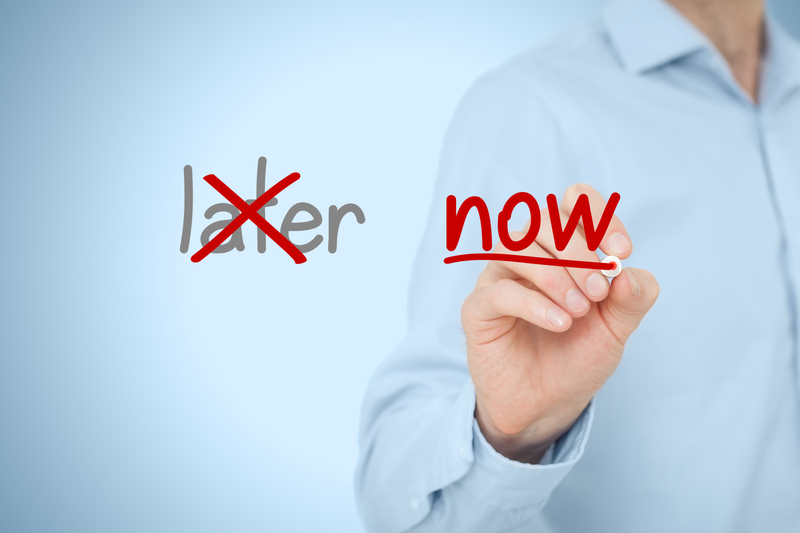 If you put too much on your plate, you will procrastinate. You are not a machine that is built to move from one task to the other and then shut down at night. You may have a lot that you want to do, but keeping your goals and to-do list short will, at least, help you get SOME things done, whereas too many goals and too big of a to-do list can result in getting nothing done at all. Not being totally strict with yourself is necessary too. You need some wiggle room to answer a phone call, give yourself a break, or even take a full day off from what you think you need to do. In fact, when you take some time to recharge because you are too overwhelmed, that’s when procrastination can be a good thing. It helps alleviate stress and keep you happy. 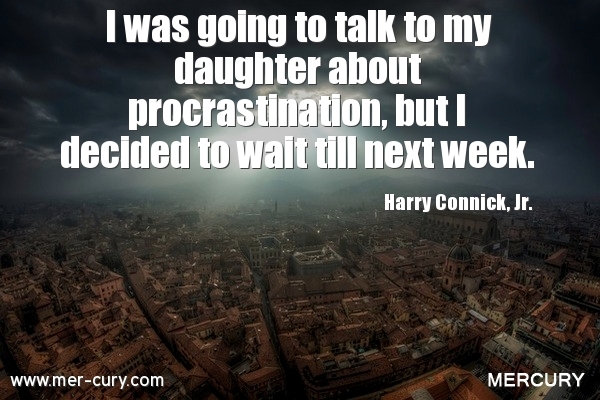 This is probably one of the only procrastination quotes you need to remember to help you get motivated to take action. 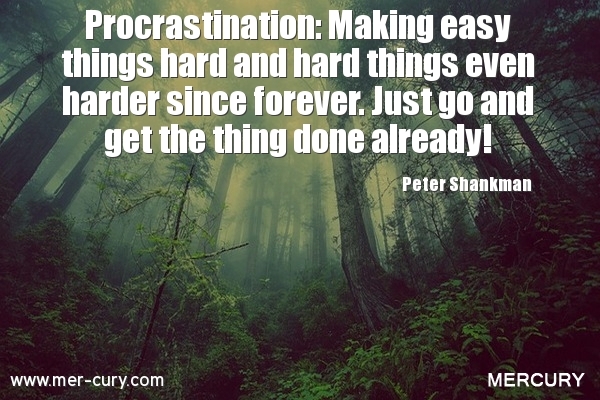 If you procrastinate, you are making easy things really hard, and you are making hard things even harder. And, if you just get things done when they need to be done, then you will feel much less stress and enjoy you free time much more. For example, if you have a paper due in a month, and you get it done this week, then you can enjoy the next three weeks with no pressure. But, if you procrastinate on that paper for three weeks, then you will be doing so with the lingering thought that you need to get that paper done in the back of your mind. This can hinder how much fun you actually have during those three weeks because the task is always making you feel guilty for not doing it or anxious for how fast it is coming.